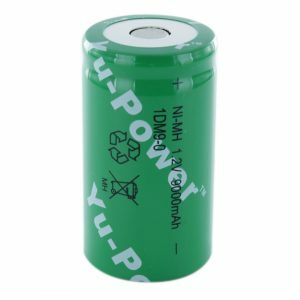 The Yuasa 1DM9.0/T is a Tagged D size rechargeable NiMH cell. Commonly used in battery pack assembly, we also supply an untagged version of this cell if needed. The cells arrived well packed and I did a charge/discharge cycle on them which showed nearly the full capacity advertised. Thankyou ! GOOD Battery, would recommend it !! !